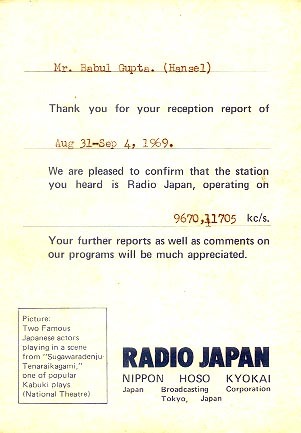 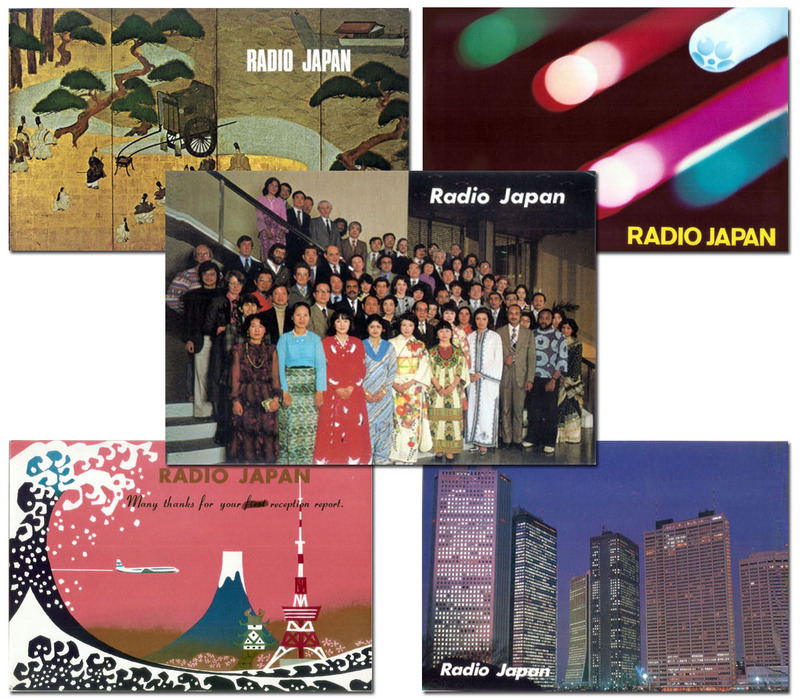 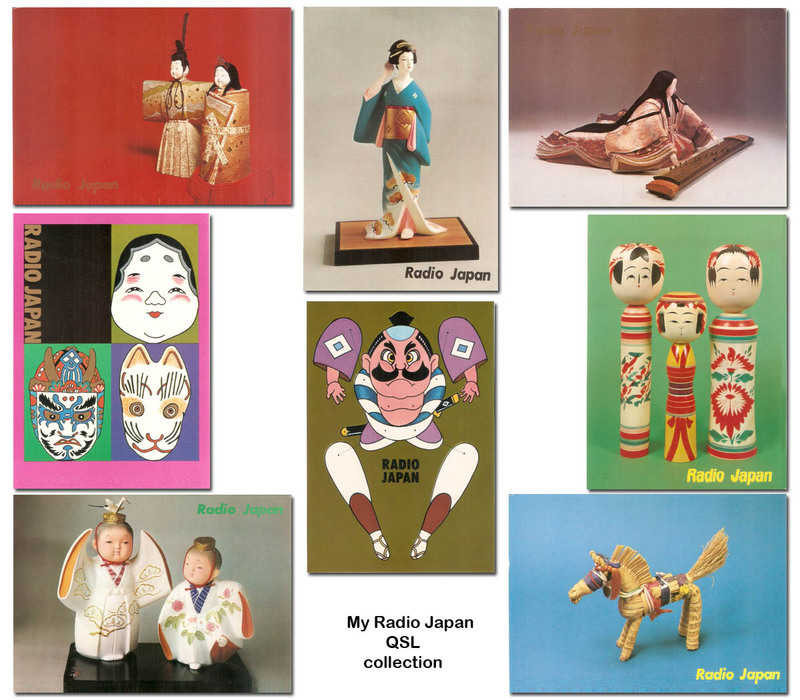 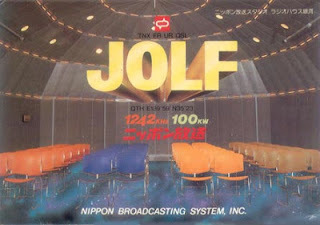 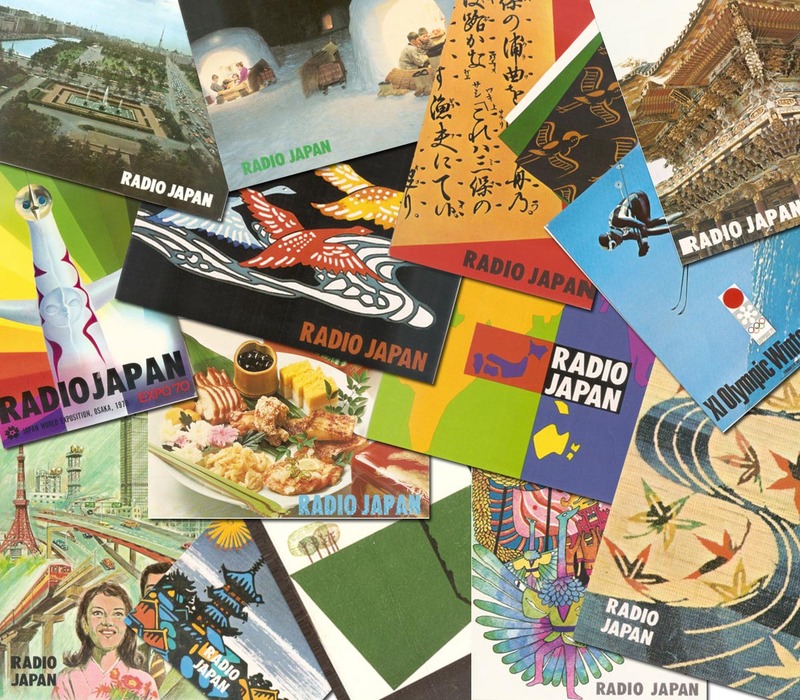 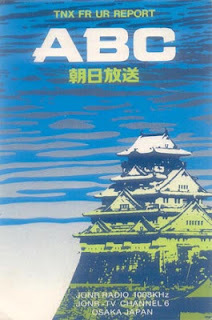 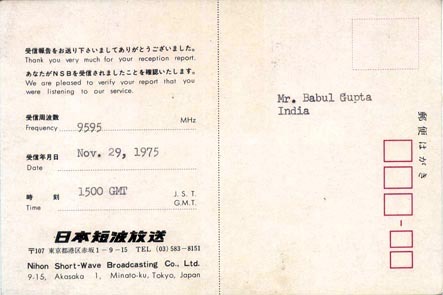 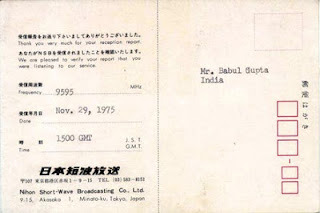 Radio Japan: 11705 kHz, log this station on 15th September, 1969. 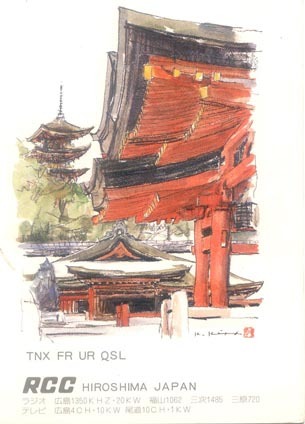 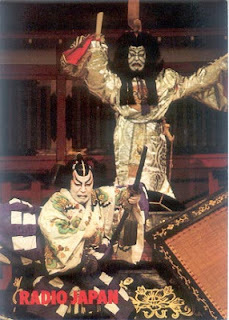 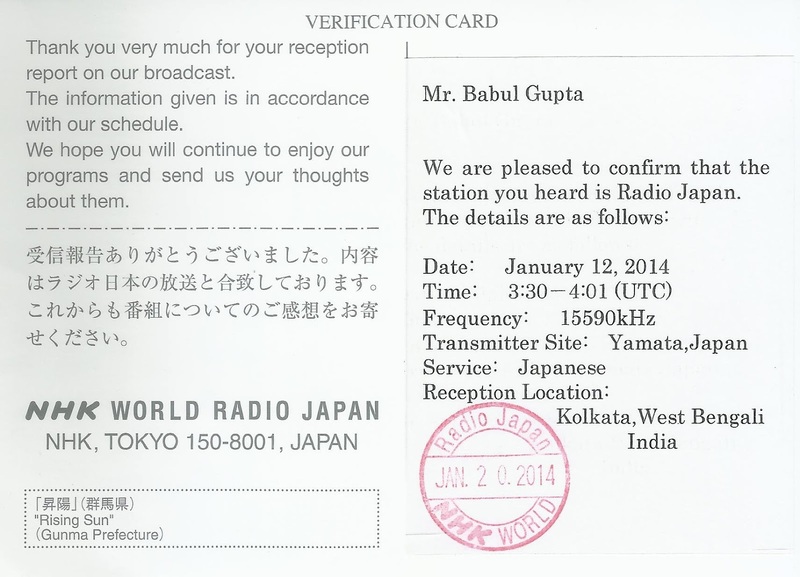 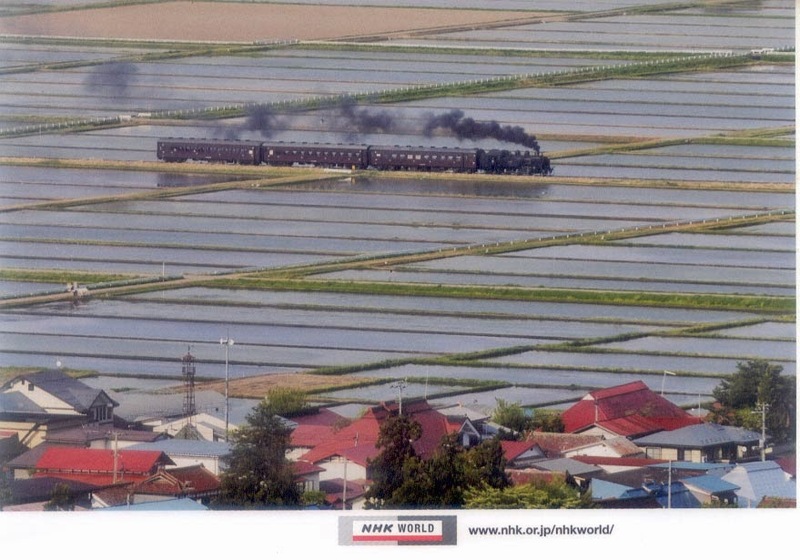 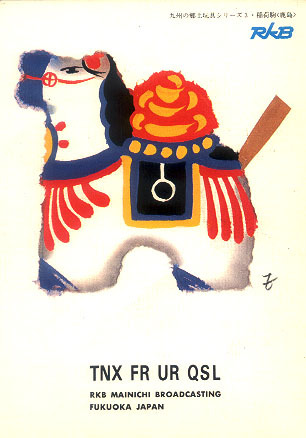 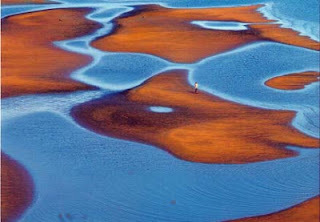 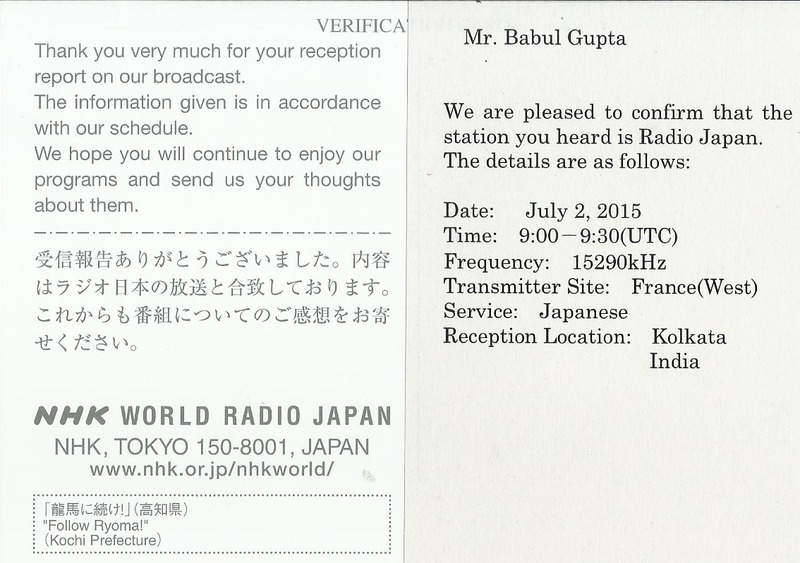 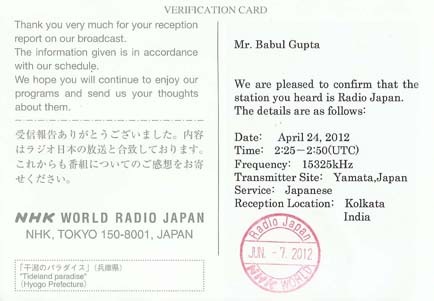 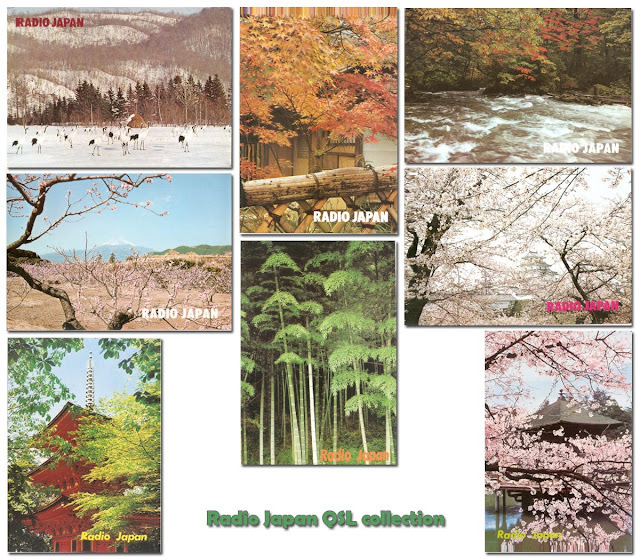 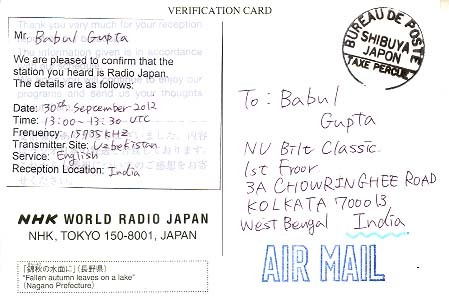 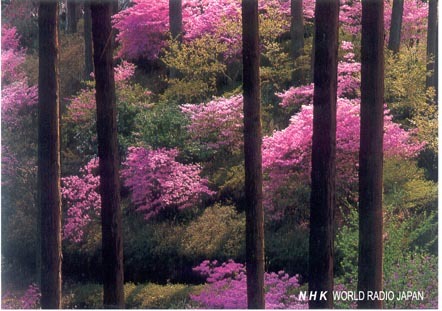 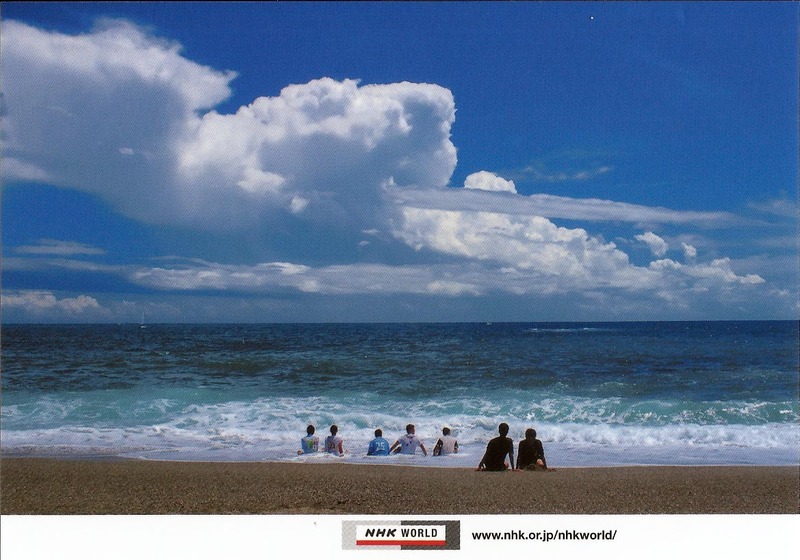 NHK World Radio Japan: Yamata, 11705 kHz, 1400 hrs to 1430 hrs log on 7th April, 2011, f/d QSL card arrived on 10th May, 2011. 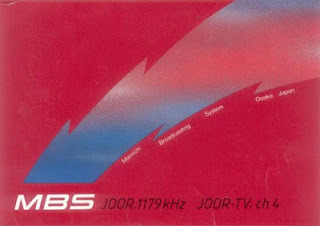 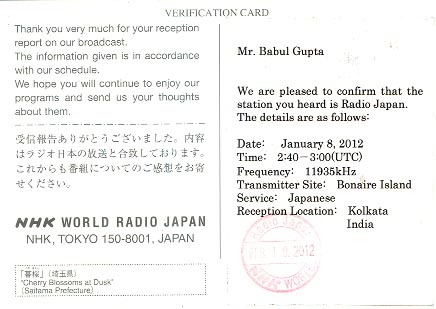 NHK World bRadio Japan: Bonaire Island, 11935 kHz, 0240 hrs to 0300 hrs UTC log on 8th January, 2012, f/d QSL card arrived on 6th March, 2012. 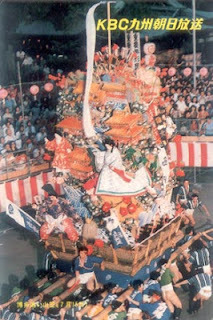 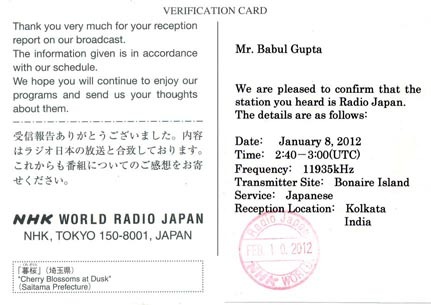 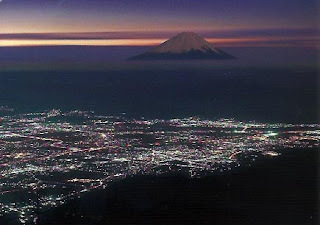 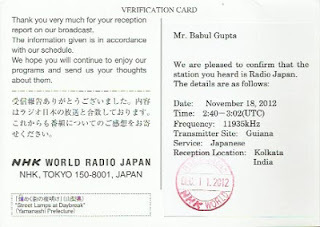 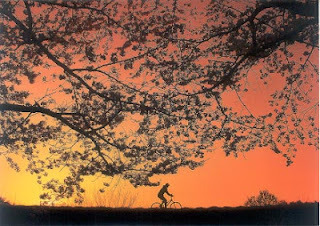 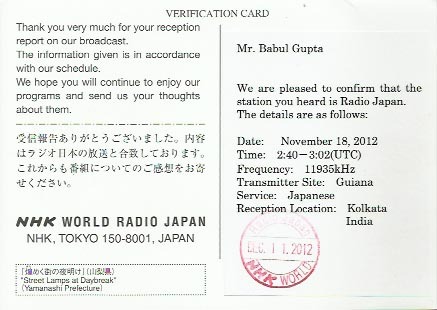 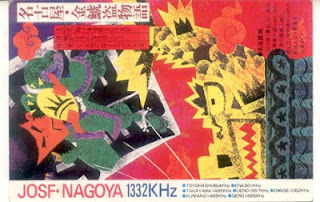 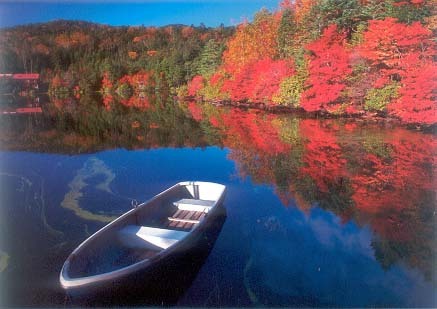 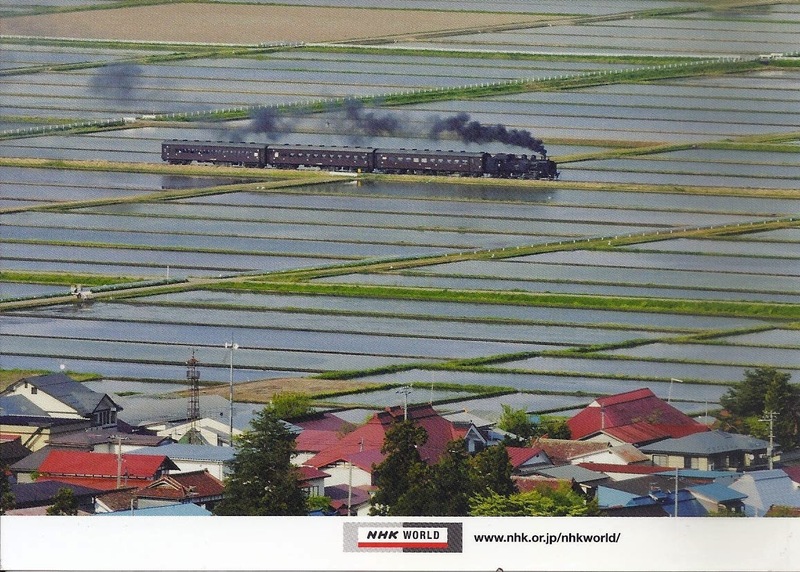 NHK World Radio Japan: Yamata- Japan, 15325 kHz, 0225 hrs to 0250 hrs UTC log on 24th April, 2012, f/d QSL card arrived on 19th May, 2012. 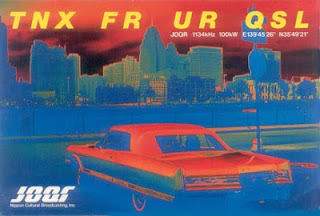 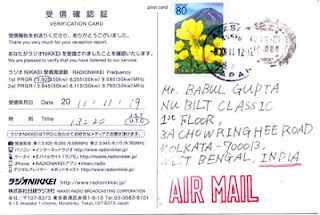 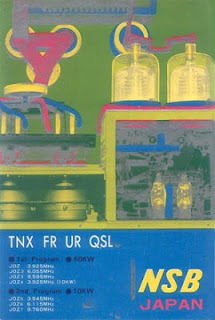 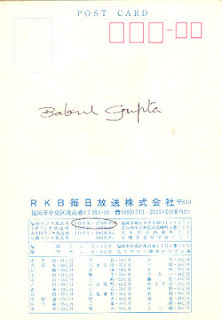 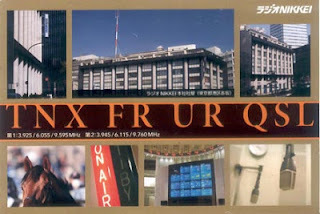 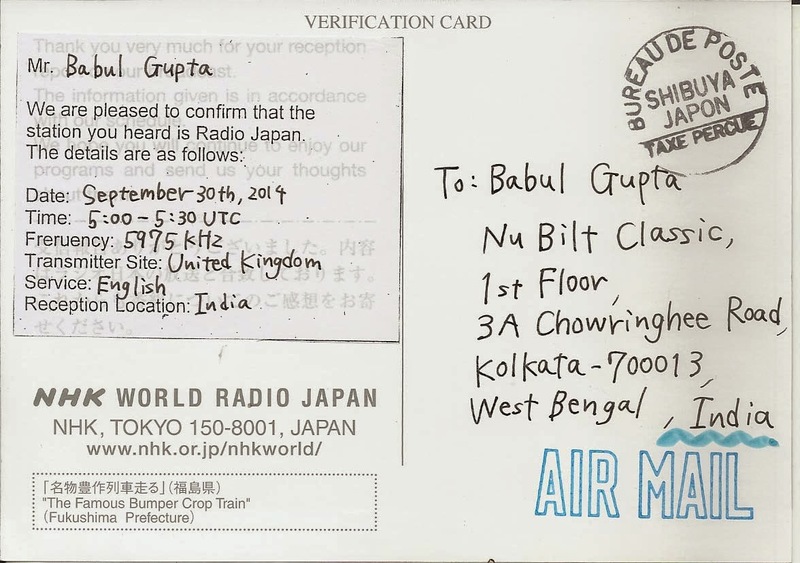 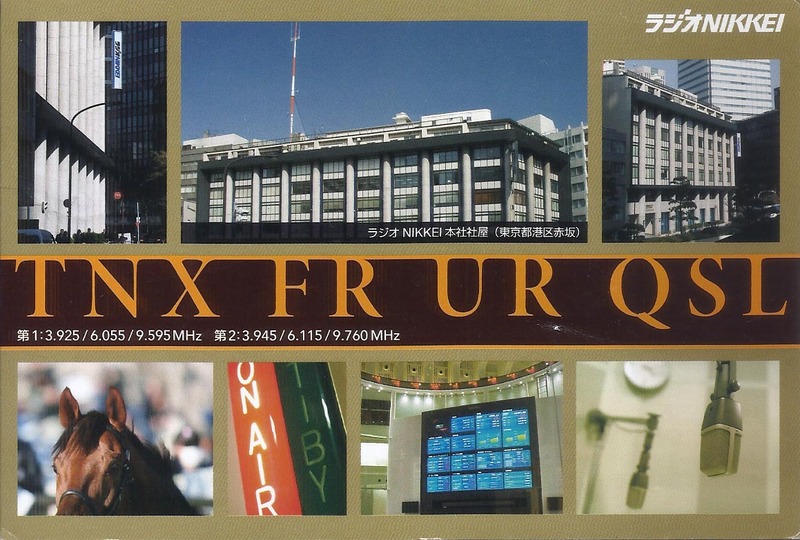 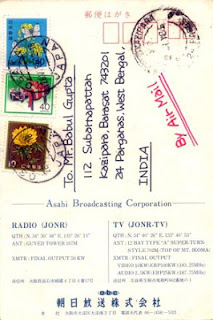 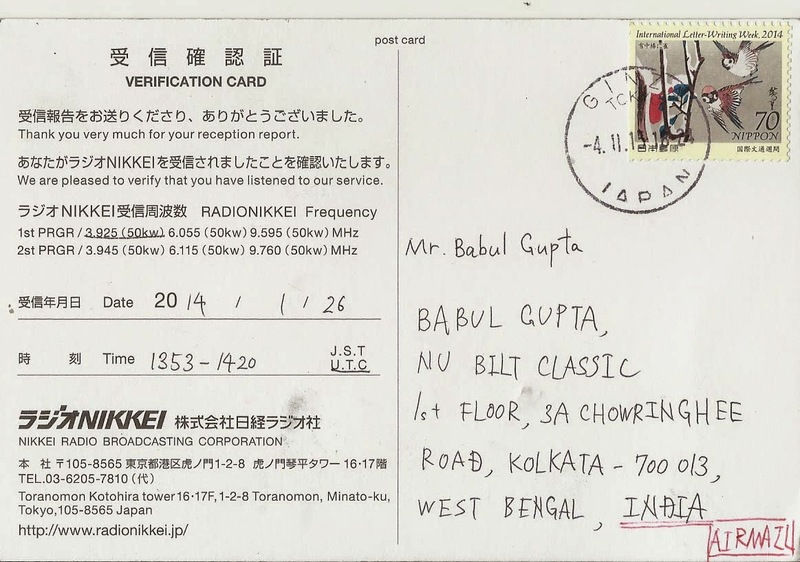 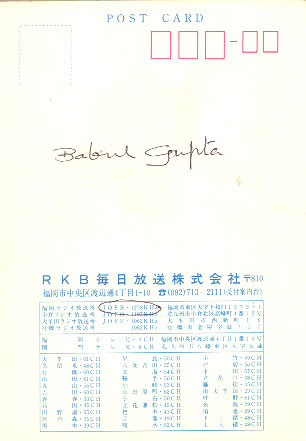 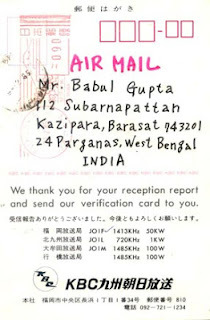 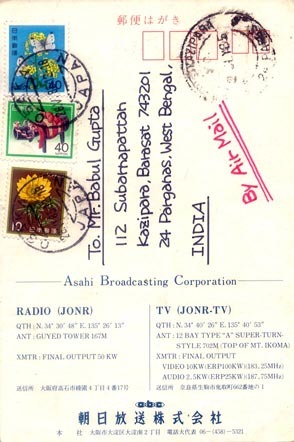 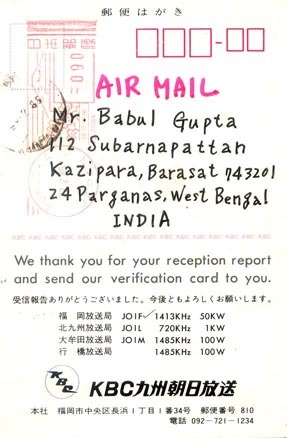 Radio Nikkei: 3925 kHz, 1320 hrs to 1340 hrs UTC log on 19th November, 2011, f/d QSL card received on 18th December, 2011 for my airmail report. 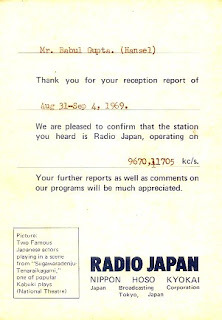 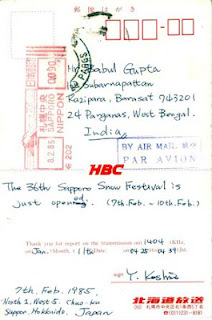 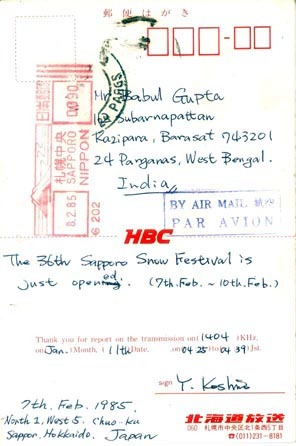 JOER-RCC Hiroshima - Japan: 1350 kHz medium wave, 1854 hrs to 1911 hrs GMT log this station on 4th January, 1985. 1242 kHz medium wave, 1700 hrs to 1720 hrs GMT log this station on 14th June, 1983.
log on 18th May, 1985. 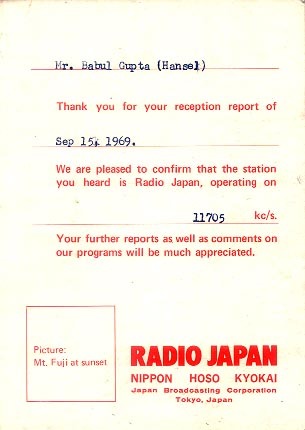 1179 kHz medium wave, 2135 hrs to 2150 hrs GMT log on 9th January, 1985. 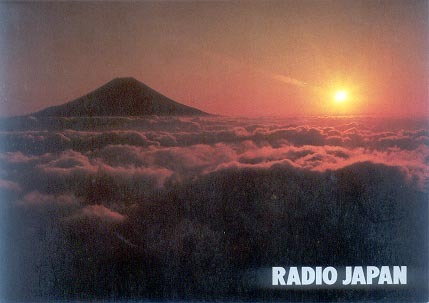 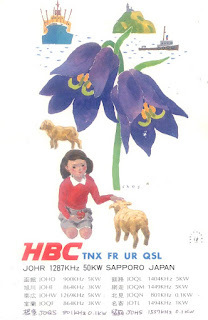 JOQL - HBC Hokkaido Broadcasting Co: 1404 kHz medium wave, 0425 hrs to 0439 hrs JST log on 11th January, 1985. 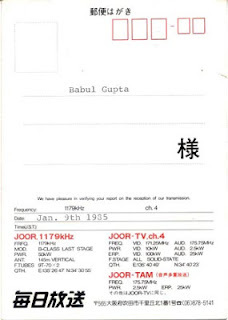 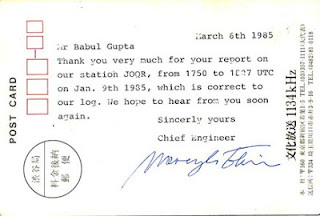 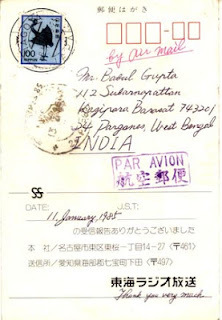 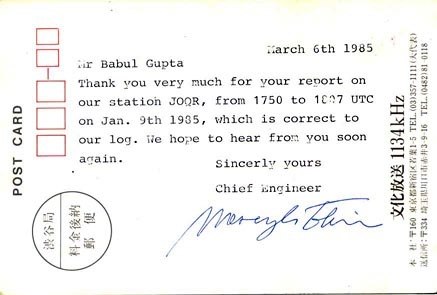 GMT log on 9th January, 1985.
to 1755 hrs GMT log on 11th January, 1985. 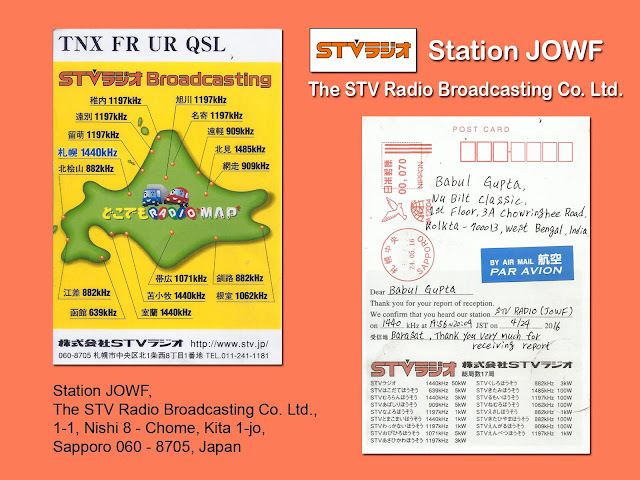 16735 kHz, 1300 hrs to 1330 hrs UTC log this station on 30th September, 2012 and f/d QSL card received on 9th November, 2012 for email report. 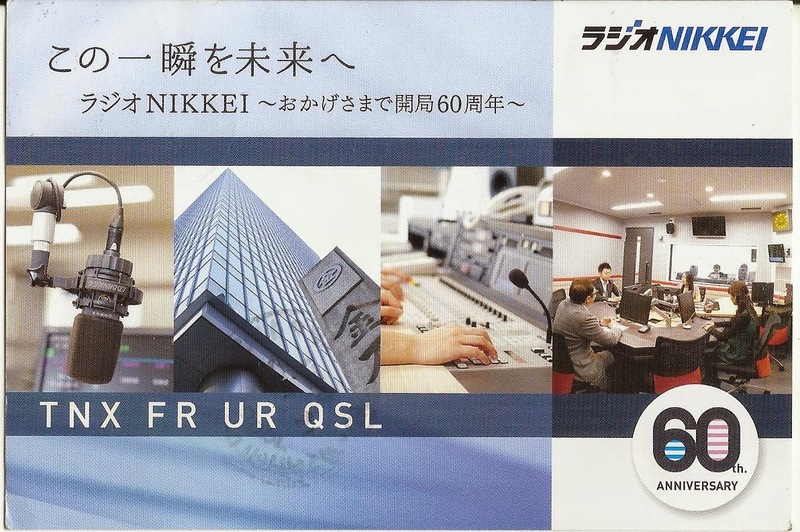 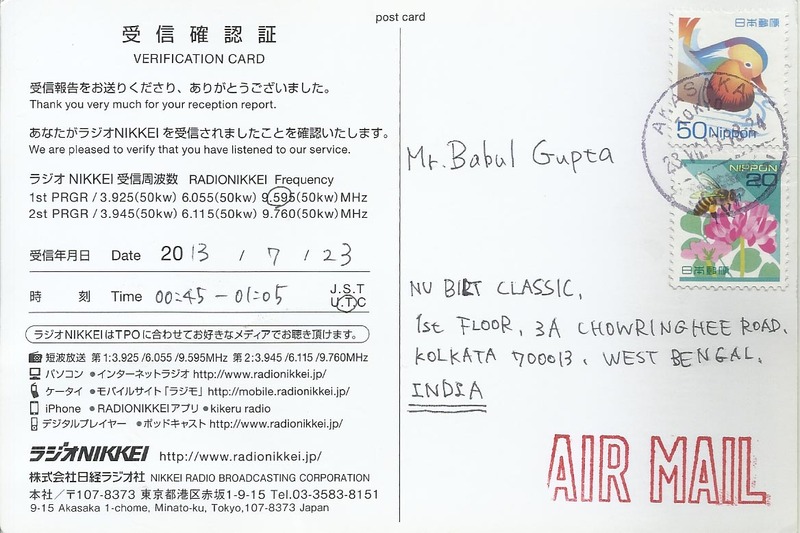 Radio Nikkei: 9595 kHz at 0045 hrs to 0105 hrs UTC in Japanese log this station on 23rd July, 2013 and f/d QSL card received on 12th August, 2013 for email report. 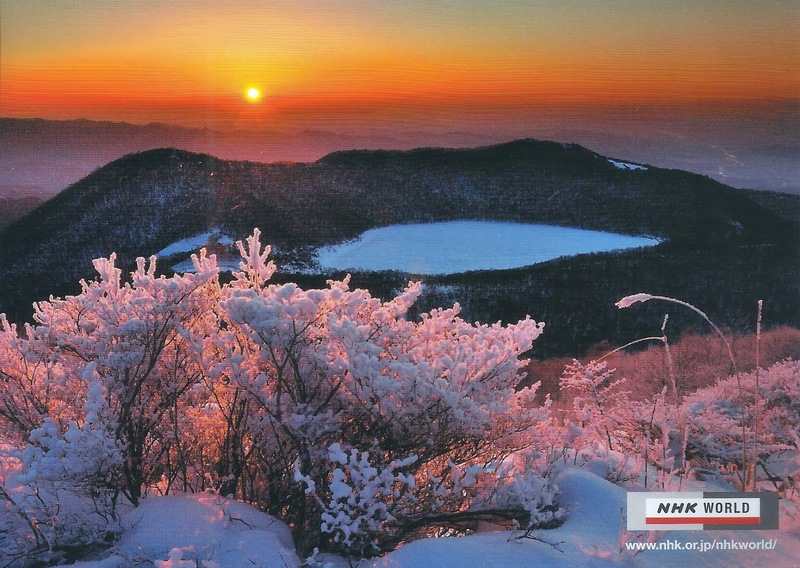 NHK World Radio Japan - Yamata: 15590 kHz, 0330 hrs to 0401 hrs UTC in Japanese log on 12th January, 2014 and f/d QSL arrived on 27th January, 2014. 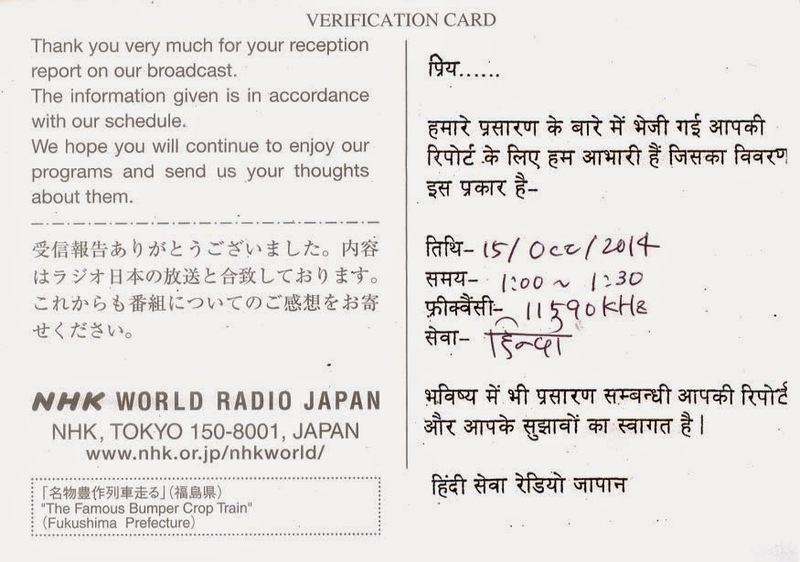 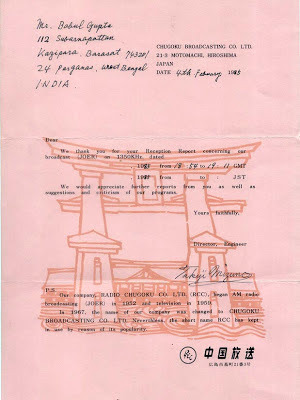 NHK World Radio Japan - Tashkent, Uzbekistan: 11590 kHz in Hindi at 9100 hrs to 0130 hrs UTC log this station on 15th October,2014 and f/d QSL card in Hindi arrived on 7th November, 2014 for RR to their online form. 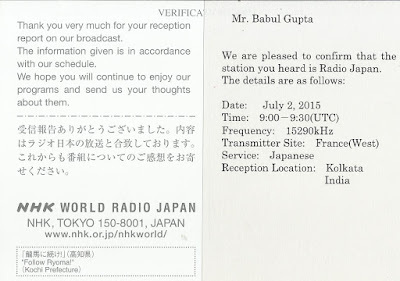 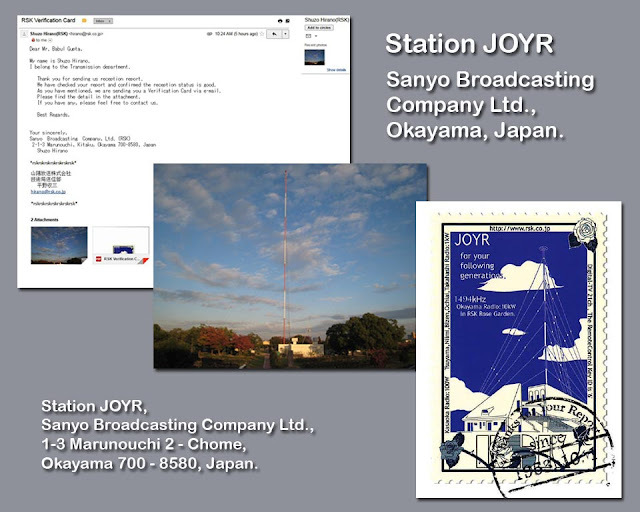 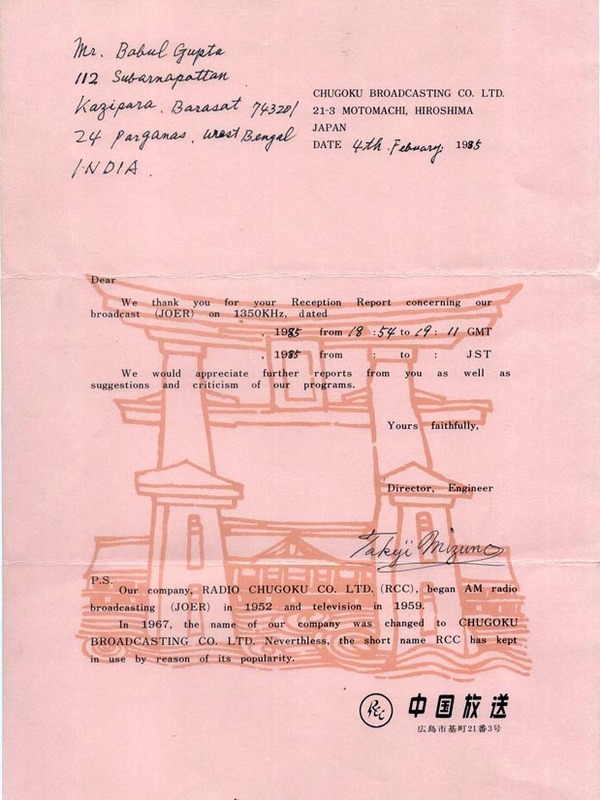 Station JOWF – The STV Radio Broadcasting Co. Ltd. – Sapporo, Japan: 1440 kHz Medium Wave in Japanese language at 1956 hrs to 2015 hrs UTC log this station on 24th April, 2016 and f/d QSL card arrived on 3rd June, 2016 for my report in Japanese language sent via postal mail.